"When a boy wanders into the woods and gets lost, the animals are hostile and suspicious at first: ``mumbling, grumbling, growling low.'' But after he frees a rabbit from a hunting trap, the animals see that he can be trusted and they take care of him as though he were one of them. They bathe him, feed him, play with him and send a message to his mother that he is safe. 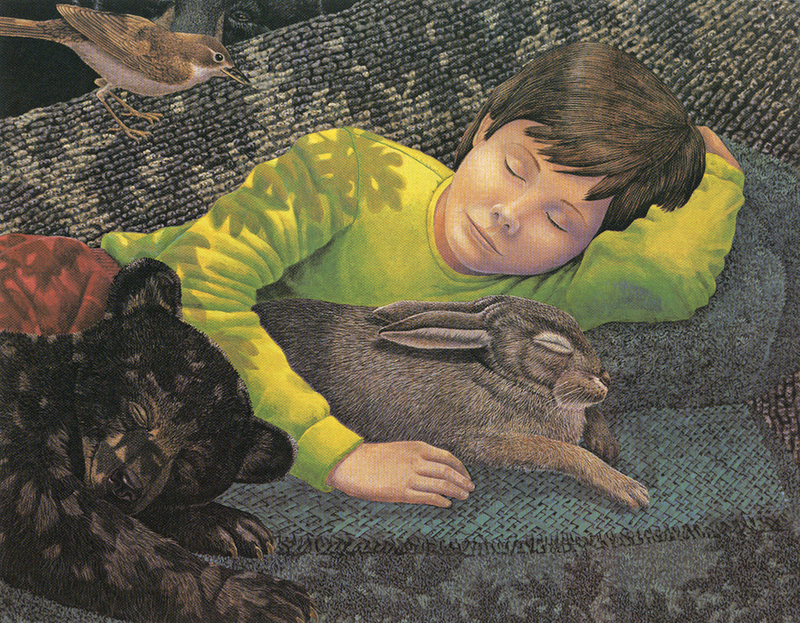 The forest creatures make the boy’s bed for him and watch over him while he sleeps. Though the story is a traditional one, McGee tells it with unusual gentleness. 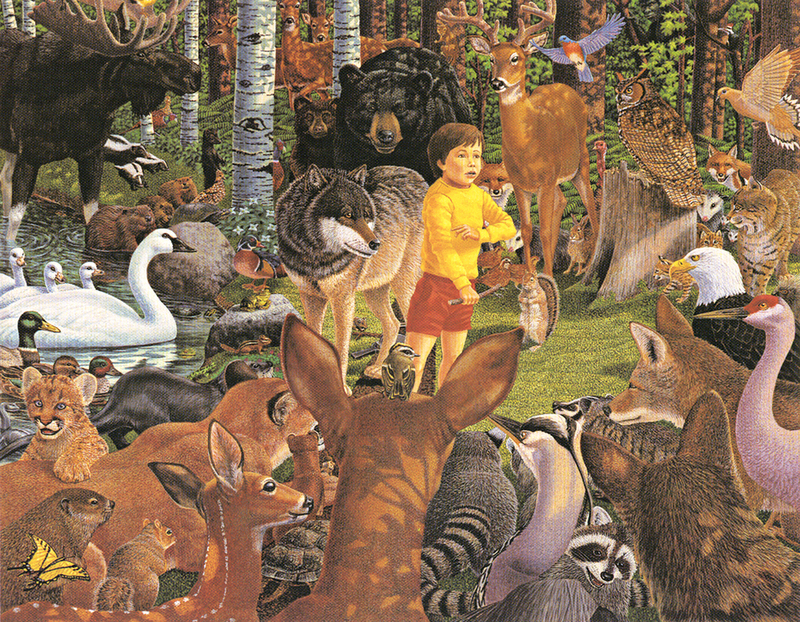 Banfill's beautiful illustrations enhance the magical quality of this special book." A perfect bedtime story… with a permanent bookshelf space. "This book has become one of my 7-year old daughter's favorites, and I never tire of reading it to her, as I was the one who was initially captivated by the enchanting story line and possibly some of the most beautiful illustrations I have ever seen in any book. Its theme is gentle and sweet. Your child will find something new in the incredible illustrations with every reading for a long time. A knockout and must-read!" "If you get this book for your child, expect to be reading it every night for the next six months. 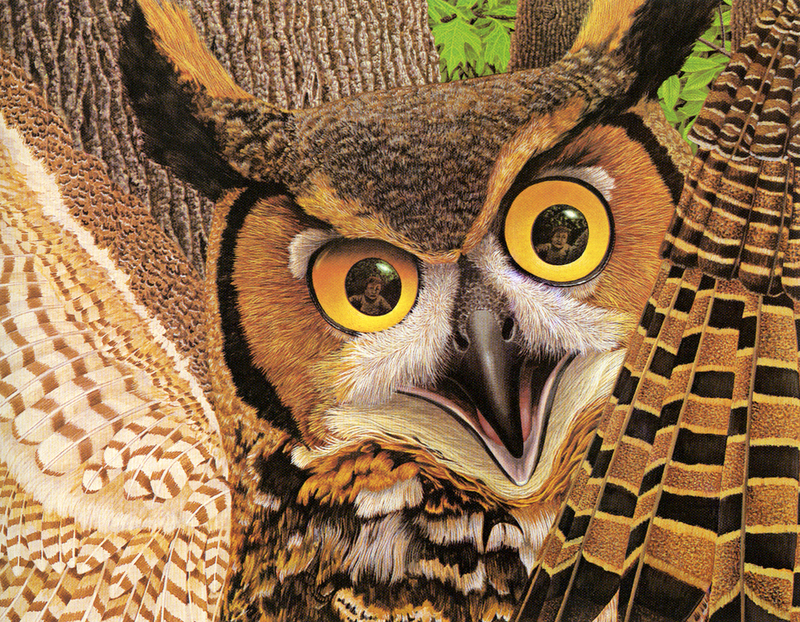 My 20-month old daughter demands "Owl story" every night. 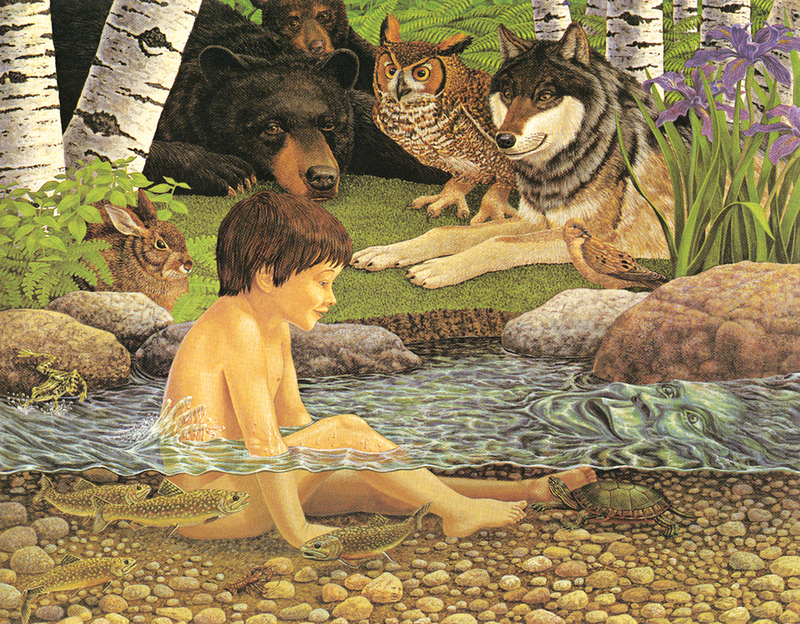 Even after a hundred readings, we are still discovering new details in the illustrations – from a moose hiding in the background to a fairy on a leaf, this book contains more detail than any other children's book I've ever stumbled across." "This is an excellent children's book, and adults will like it also. I’ve given it to children in Rwanda who actually do have to look out for wild animals on occasion! It’s especially relevant for children who have been traumatized. Or, simply for the common fears that accompany children, growing up. Highly recommended and very beautiful." 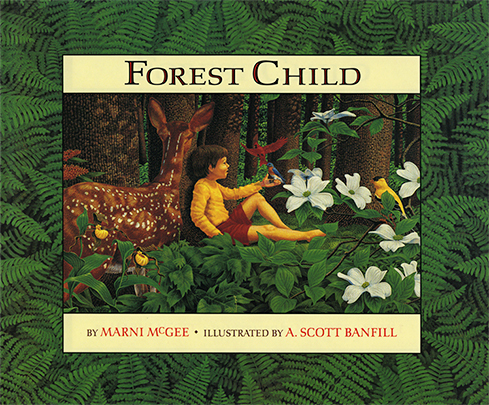 Below are examples of the beautiful illustrations in Forest Child.